Show of hands – how many people get to say that they got their car stuck in a snow drift in the middle of Cedar Point? No one? 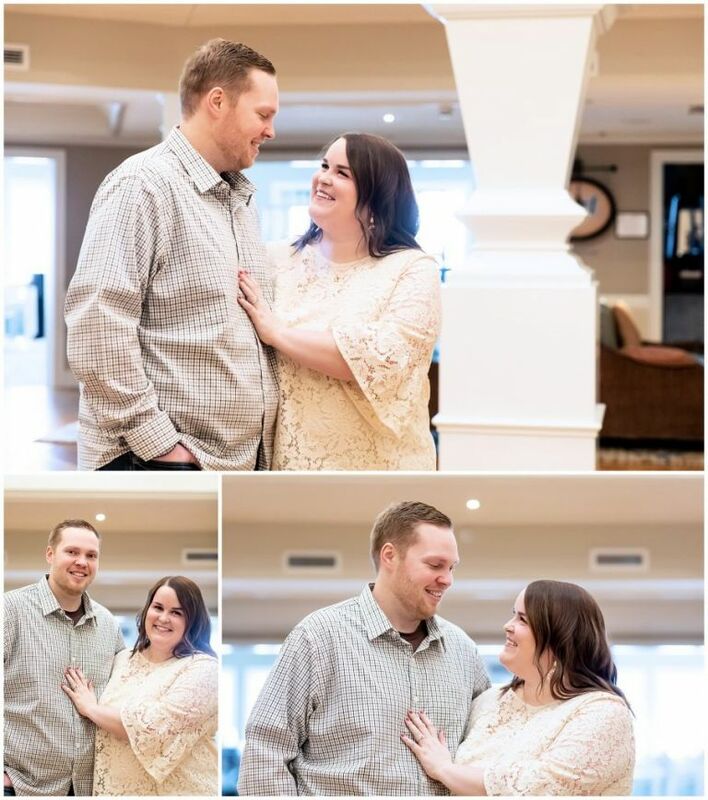 Well, no one except Lindsey… 😂😂Despite having a little car trouble, everything else about this session went on without a hitch! 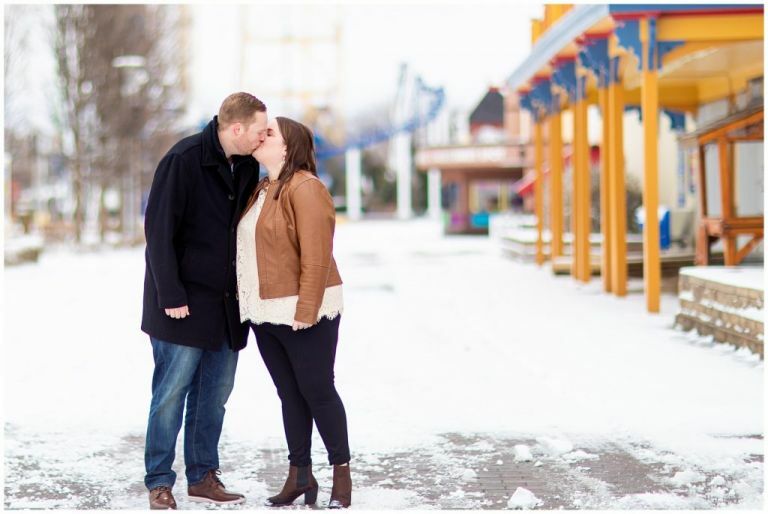 Liz and Logan made all of our dreams come true by suggesting that we do their session at the snow-covered Cedar Point and we happily obliged! 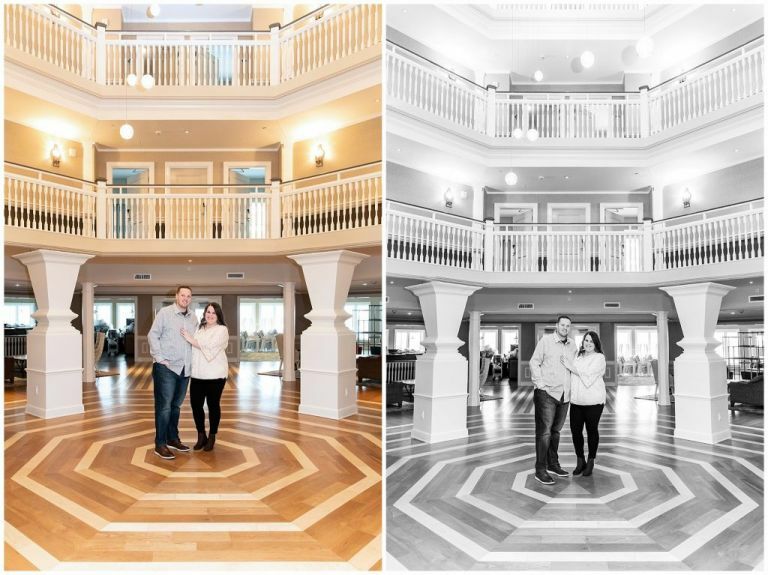 We’ve been dying to get over there and do some photos inside the beautiful Hotel Breakers, so the offseason was the perfect time to do it! And of course, we had to take full advantage of an empty midway to showcase this adorable couple. Liz and Logan, thank you for trusting us and braving the cold (and for pushing Lindsey’s car out of the drift)! You guys did an amazing job! !